Though financial services are increasingly discovering new, convenient channels for customers to pay online, many still prefer cash as a form of tender. This is the case for around 30% of US consumers, who use cash for three quarters of their payment transactions. Electronic cash payment system PayNearMe is catering to this need by enabling users to pay for just about anything through a cash deposit at their local 7-Eleven. As a significant amount of commerce moves online, an inconvenience is faced by those who don’t need or want a bank account — some dislike the tedious experience of visiting a bank, while others may find the minimum balance requirements and fees too high. 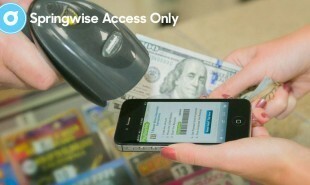 Californian start-up PayNearMe bridges this gap by registering businesses with QR codes on their payment page, which customers can print out — or store on their smartphone — and bring to their nearest 7-Eleven, Family Dollar and ACE Cash Express stores. Upon scanning this code at participating convenience stores, the customer can pay store clerks the amount with cash, and the organization being paid — whether a utilities company or landlord — will be notified of this payment, which is deposited straight into their bank account. They have already partnered with major banks including Jersey Bank, whose customers can link their existing online banking accounts with PayNearMe Express, and pay or receive cash from others by sending them unique codes. Though the service overlooks, or perhaps inadvertently caters to cash earnings that may be subject to legal inquisition, the manner in which the service takes into consideration users’ preferred lifestyles should be applauded. How else can financial services cater to the varied preferences of their customers?